Also on this episode, a new hope for safety in Football has emerged from the helmet makers at Riddell. What is this new tech and can it save Football from changing too much? 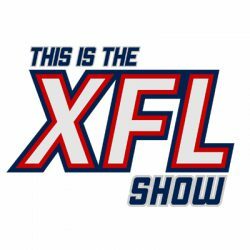 And we react to the XFL making its partnership with The Spring League official. This is a SUPER episode, so lock in and get ready for a lot of good, crisp XFL talk! Next PostNext Episode 55: Big Game Bob is Back!